A mobile or transportable coconut oil processing factory provides a cost effective processing capability for small rural coconut producers and farmers. This eliminates whole fruit transportation burden for small farmers. 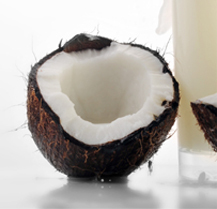 Coconuts are processed in the harvest area, allowing only the processed oil to be transported. This reduces overall transport costs of bottled oil. A small transportable container eliminates facility construction, building permitting, allowing the producer to start production in a few days. In the new global economy, financial and engineering creativity has become ever important to implement sustainable cash-flow businesses.